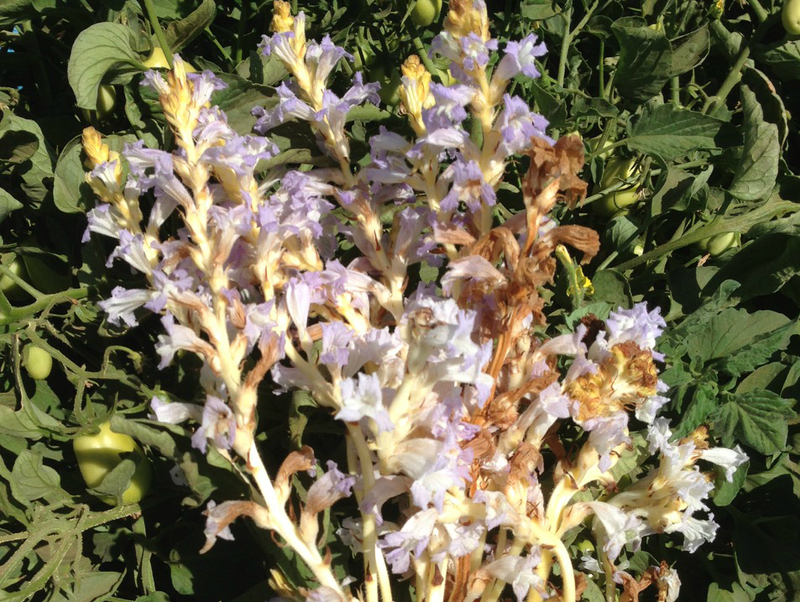 Orobanche aegyptiaca (Egyptian broomrape) is a perennial herb/ (parasitic) (family Orobanchaceae) with purple flowers and tiny leaves found in the central valley of California. It is native to the Middle East. It grows in grasslands. It reproduces via seeds which are carried by water, wind, animals and man.